Casino Beat: Is Luxury Wearing Thin? Neytiri sees a new future. Tuesday I finally went to see the fantastic 3-D film “Avatar” and like most people, that night I had extremely vibrant dreams. Maybe it was the 3-D glasses. Maybe it was the science fantasy (as opposed to science fiction) storyline. The next morning I woke up and read that billionaire Carl Icahn took control of the stalled Fountainebleu project through bankruptcy court. I took it as a sign. He’ll put a lot of people to work and do what it takes to complete the eyesore that is currently a huge, ugly symbol of the once uber-inflated Las Vegas economy. 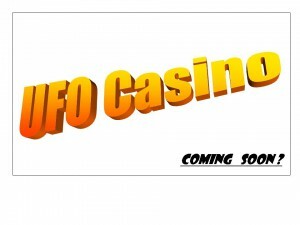 I’m glad Carl Ichan is getting back into the casino business. Although the last thing the Strip needs right now is more rooms, in the long run completing the Fountainebleu will be a good thing for locals and tourists alike. It doesn’t have to mean death knells for the Riveria and Sahara casinos either, as some have speculated. Like Diane Taylor exemplified in her article “New Life Emerges From the Recession” the pain of the recession often brings with it new and unexpected opportunity. We’ve had one “ultra-luxury” resort opening after the other for years on the Strip to the point that our once venerable skyline has almost become one shiny glass tower after another. Almost. Fountainebleu is going to join in the “luxury” marketing of Las Vegas along with the Aria, Wynn, Wynn’s Encore, Bellagio, new towers at the Hard Rock and Planet Hollywood, plus the Plaza if it ever breaks ground. The M Resort and Red Rock are also both very nice, very recent additions to the off-Strip luxury market. The Venetian was the last themed resort to open on the Strip and even it was brought into the marketplace with the “ultra-luxury” moniker. That was in 1999, more than ten years ago. So “Avatar” got me thinking. Is anyone trying to look at the Las Vegas casino and resort marketplace with a fresh perspective? The answer is yes. It’s probably obvious that I think Pandora, the moon circling a planet in Alpha Centuri where the Na’vi live in James Cameron’s “Avatar” universe would be a GREAT theme for a resort. “Avatar” is already the highest grossing film of all-time and it’s still in theaters. They haven’t even gotten to the ancillary on-demand, video and pay TV markets. The merchandising will probably rival George Lucas’ “Star Wars” and New Line Cinema’s “Lord of the Rings” franchises by the time the sequel comes out. Thousands of cases of “Avatar blues” (post screening depression) have already been reported and there are probably tens of thousands more that will go unreported. It seems pretty obvious that fans from around the world would flock to a Avatar/Pandora-themed resort in Vegas. The fact that we don’t already have some sort of space-themed/Area 51 resort baffles me. And it appears I’m not alone. The web-site Vegas Today and Tomorrow holds hope that some fresh themed resorts might eventually open. Although Michael Henderson’s proposed 10,000 room Moon Resort seems unlikely to find a home in the current economy, there’s a “Beverly Hillbillies” resort complete with flaming oil derrick that reportedly is still in the works for either North Las Vegas or Reno. And Legoland got approval late last year to build a Lego-themed hotel outside the park entrance in Carlsbad, California. So it seems clear to me that if we don’t get back into being the leader in themed resorts, someone else, somewhere else, will. A look at Wikipedia’s list of themed casinos that never opened will probably illicit a few sighs of regret (Palace of the Sea) along with even more sighs of relief (would cocktail waitresses wear a gray suit and striped tie in a World Trade Center-themed resort?). I think if someone like James Cameron or Peter Jackson looked at building an inter-active legacy in Las Vegas the entire world (and their holding companies!) would notice. If I could have a bungalow shaped like a hobbit house or a bed that resembled an “Avatar” immersion chamber I would pay whatever they asked (two-night minimum stay required, taxes and resort fees not included ;-). Don’t get me wrong. I love a good luxury resort. A room at the Bellagio with a spa pass is incredible. The views from the M Resort, Wynn and other shiny glass towers are gorgeous. The entertainment and restaurant options at the top resorts rarely disappoint. But if I can visit New York, Venice, ancient Rome, ancient Egypt and King Arthur’s court when I’m in Vegas, I’m sure I’m not alone in longing for a chance to visit Middle Earth, a Star Wars cocktail lounge, or Pandora too. Mr. Icahn, it’s not too late to make Fountainebleu stand out from the crowd! 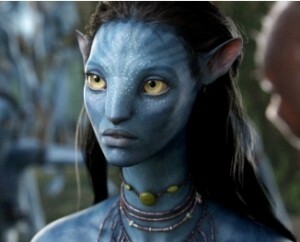 James Cameron, how would you like 10-1 odds on a sure bet and cure everyone of “Avatar Blues” at the same time? Sure, I might just be dreaming out loud. But then again, I’m not the only one. Las Vegas is a land where dreams sometimes do come true. Click here for the LLV movie review of Avatar, if you haven’t been to see it yourself yet. Personally, I was very pleased to see the end of themed resorts finally reach Las Vegas. 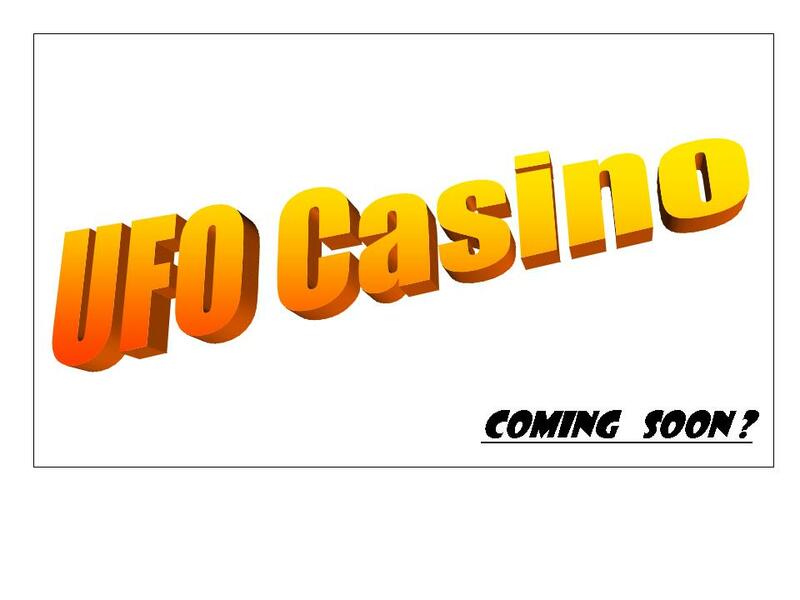 Elegance never goes out of style and I would find the concept of an area 51/UFO-themed casino pretty unappealing — but it will be interesting to see what your readers have to say! Ohhhh, and Avatar (Pandora?) themed hotel and casino? Too cool! Sign me up – I’d be first in line to see that. My girlfriend told me that somewhere a news report said people were getting suicidal and/or severely depressed because Pandora wasn’t a real place (and they couldn’t go there lol). So at least the new Avatar hotel and casino could host all the video game and movie geeks. Oh! And the rave lovers could come, too. Everything in Pandora is glow in the dark, after all. I’ll take a Floating Mountains of Pandora suite, please. Um…. Let me get this straight — someone, presumably human, would want to travel to an imaginary planet whose occupants would do everything in their power to kill and eat them on arrival? I guess there’s some form of a metaphor for a casino opening here to do the same thing — but I just can’t see the appeal of such a thing to me. I agree with you that the plot was severely lacking. Maybe I was lucky because I was told to expect that before going to see it (thanks to my genius mother). However, I think it would make a fabulously fun casino – and it could offer one hell of a nightly show (watch out O and Le Reve? Haha). To correct my earlier comment, I just checked Snopes and the story about Avatar fans becoming suicidal is, in fact, false. So, speaking as the extremely cerebral person that I am – my bad. Tasha – your gf probably saw that report about the “Avatar blues” on CNN. Click the link in the 5th paragraph to read their whole report. It’s really fascinating. Mark – Um … I find your derision of “Avatar” curious. The plot which you found so embarrassing has actually touched millions of people and for different reasons. But fostering a debate about the good and bad merits of the film wasn’t the point of my article. It was that casino developers should look to stand out in a crowded and competitive field and consider the appeal of some recent blockbuster films. Certain blockbuster films have a very large, dedicated fan-base and a visual brand that is worthy of casino/resort consideration in Las Vegas. This town was built to attract tourists. Attracting the dedicated fan-base of a worldwide blockbuster film would be the same thing – good for our city. If an “Avatar” themed casino was built, I bet even you would go check it out. Even if it was just to roll your eyes. …But thankfully, the casino operators who are creating Las Vegas have moved beyond themed resorts except on a very tiny scale — so I’d never need to step into such a place. Avatar will eventually take it’s rightful place as another one of those remarkably bad movies with a huge price tag. Having had a day to reflect on my experience, I find that the movie really wasn’t even memorable as a visual experience. Except as eye candy for an hour or two. But it did keep an entire segment of the movie production business employed — so that’s a great thing. I can’t even remember seeing a movie with more TD’s listed — those credits could have established a whole new benchmark for chest-thumping — pretty amazing on many levels. It’s kinda of a scary thing when a poorly-executed work of fiction seems to have such a grab on people’s imaginations — Millions may have seen the film — but I haven’t spoken to a single person who gave it a thumbs-up — some middle-of-the-road support for “great effects” and more and more of people, I know, giving it the decided thumb’s down — as a complete package. But in any case, I just don’t see any evidence that anything built on Avatar-the-movie would succeed beyond online gaming and an amusement park ride. Just my view. I’d go see an Avatar-themed casino in Las Vegas — of course! I’d go to any new casino. I do think the age of themes is over for now, and I can’t say I’m sorry. Themes are very restrictive as properties age, and they’re difficult to abandon or update. All you have to do is think about Luxor and Excalibur to know what I’m talking about, not to mention Treasure Island. They got rid of the big skull and shortened their name to “TI,” but it’s been a tough challenge to deal with that pirate battle setup out front. And they’ve got it easy! When you build your hotel in the shape of a pyramid or a castle, your remodeling options are practically zero. As for Avatar, I was mightily unimpressed by the “Dances with Pterodactyls” story line. I haven’t talked to anyone who liked it, even though many are awed by the scenery and effects. I liked them, too. If Cameron had used his giant budget to hire writers as talented as his special effects wizards — well, I guess it’s pointless to imagine what might have been. And you can’t expect the “king of the world” to acknowledge his mediocre story-crafting ability. He just doesn’t have to. Maybe a “Pandora Experience” along the lines of the well-done Star Trek attraction that has sadly vanished from the Hilton would work. If it were constructed within a larger space, it could be replaced relatively easily when the next big phenomenon comes along. Right or wrong, many people are looking at trends in China as a way to predict future economic opportunities. It appears from this news report that THEME RESTAURANTS are the NEW up-scale FAD there. The link got zapped. Go to Bing dot com and look up beijing toilet restaurant.